First, a lesson about exploring the far corners of the internet: Never judge a lemur by its patchy fur, giant ears, weird squirrel tail, and long bony finger. It may just become your new favorite animal. OMG look at that face! RIGHT?? I want to cuddle her little snoot. I discovered aye-ayes while going on a Wikipedia click expedition—you know, where you click one link inside an article, and before you know it, you have 12 tabs open and you know everything about narwhals and cabinets of wonder. Despite its shocking looks, the nocturnal aye-aye is one of the gentlest of the lemurs—and it’s endangered. Sadly, 80% of its natural habitat in Madagascar has been destroyed, mostly due to logging and agriculture. (This also effects a myriad of animals on the unique island—105 endangered animals, to be exact.) People also kill it, thanks to a silly superstition that says if an aye-aye points at you, you’re cursed (obviously untrue—I promise). 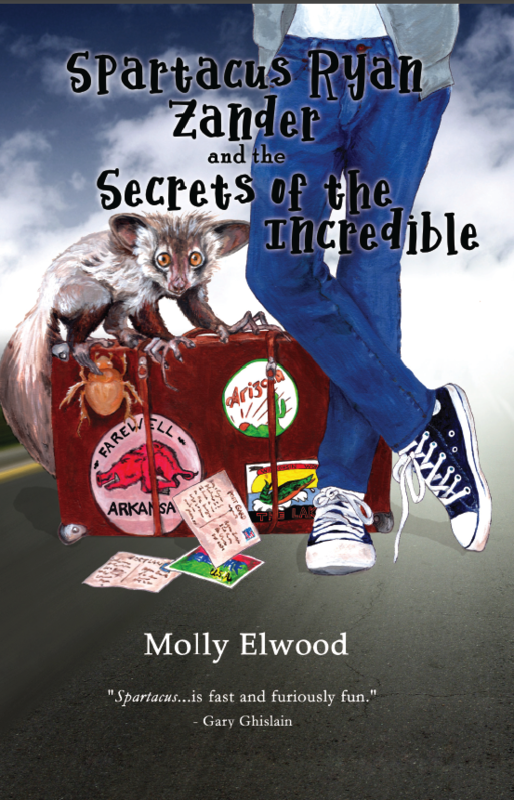 I did a ton of aye-aye research in the writing of The Secrets of the Incredible. At this point, I may have seen more aye-aye videos and photos than I’ve seen cat videos. I even saw them in person and tried not to jump up and down at my happiness of seeing such a rare creature. I love aye-ayes and I don’t care who knows it. I’m also holding a raffle at my August 3rd book launch (!!!). Each $1 ticket will go towards this same non-profit with the goal of raising $50. The winner will get to “adopt” an aye-aye! Come to the book event—it could be you! More details about that coming soon. Matilda the Aye-Aye plays a big role in The Secrets of the Incredible—she helps us understand empathy and the vulnerability of circus animals. I’m thrilled for the opportunity to give back.